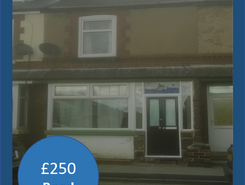 247 Property Services are delighted to offer this large two bedroom property located in a quiet area of Mexborough. Conveniently located to Manvers Business Park and the town centre. 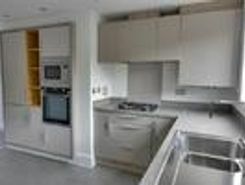 *Deposit free renting option available* Available immedia is this brand new, outstanding home that would be absolu perfect for a professional person/couple or small family alike. Located in a excellent spot for commuting, about 5 minutes drive . 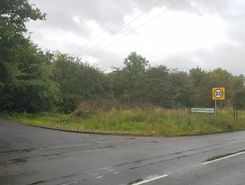 Freehold Land / Development potential / 0.064 HECTARES ( 0.158 ACRES)DESCRIPTION Oval shaped parcel of level land with hard-core surface to majority fronting Pastures Road. 2 Bedroom House in Goldthorpe Market Town, Ideal Location Close to Supermarket and New School and Health Services. 3 Bed Town House with Gardens to front and Rear. Close to Shops and School. 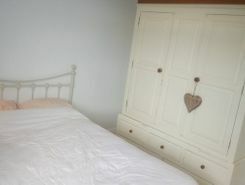 Large 3 Bed Semi Detached Town House, Back Garden, Close to New Primary School and Shops. 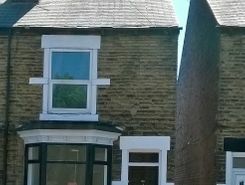 TheHouseShop.com is the leading property marketplace in Mexborough in South Yorkshire and has been helping landlords, tenants, sellers and buyers to save money when buying, selling, letting and renting property online. Property website TheHouseShop is unique in the UK property market as it is the only place that accepts listings from homeowners and professionals, so visitors will find properties available for sale and to rent from traditional estate agents, online-only agents, private landlords, private sellers and property developers. Whether you're a seller, a landlord, or an estate agent, you can use TheHouseShop property marketplace to advertise your properties to tens of thousands of buyers and tenants who visit the site each day looking for property in Mexborough in South Yorkshire and the surrounding areas. Our private users can boost exposure for their property adverts and generate more enquiries thanks to our effective marketing options. TheHouseShop have helped thousands of Mexborough in South Yorkshire's private landlords to find great tenants quickly with our free tenant-find service. With a huge selection of private and professional rental properties available on TheHouseShop marketplace, renters can find flats, detached houses, terraced houses, apartments, bungalows, maisonettes and more. 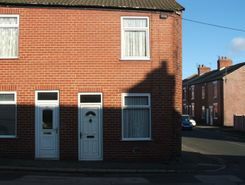 TheHouseShop showcases a variety of cheap rental homes in top locations across Mexborough in South Yorkshire and allows tenants to search for property by rent price, bedrooms, location and property type. Tenants looking for rental property will find DSS property to rent direct from landlords, studio apartments, 2 bed flats to rent, 3 bedroom houses, maisonettes, private landlords accepting pets and a variety of other rental homes in Mexborough in South Yorkshire on TheHouseShop. Many private landlords using TheHouseShop to advertise their property will not post their listing anywhere else online, so tenants will not find our properties on other property portal websites. The Mexborough in South Yorkshire rental market is booming and savvy home hunters who rent property direct from the landlord can save money on admin fees and charges. 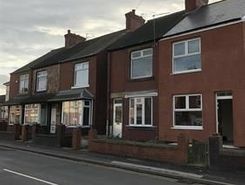 Tenants looking for cheap flat shares in Mexborough in South Yorkshire will find a selection of affordable rentals in TheHouseShop's Flat Share section. 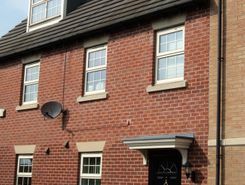 Renting a property in Mexborough in South Yorkshire can be expensive, but tenants can find affordable Flat Shares in Mexborough in South Yorkshire's best locations for a fraction of the price of a whole property. 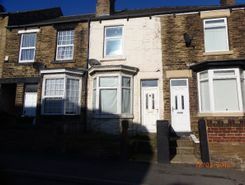 TheHouseShop's Rental Guarantor service makes it easier for Mexborough in South Yorkshire renters to secure their dream property with the help of a guarantor based in the United Kingdom to reassure their landlord. TheHouseShop offer a free online rent calculator to help private landlords in Mexborough in South Yorkshire find the true value of their rental property. Private landlords can also benefit from a range of landlord services including: tenant referencing, rent guarantees, tenancy contracts and landlord insurance products. Tenant referencing on TheHouseShop allows landlords to screen tenants with rental credit checks and affordability calculations to ensure they find the best tenants for their rental properties. People looking for rental homes in Mexborough in South Yorkshire can create a property alert on TheHouseShop.com and receive email updates anytime a new property to rent appears on the site. 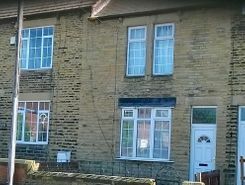 Property investors and private landlords can search thousands of cheap Buy To Let investment properties from house builders, estate agents and private sellers throughout Mexborough in South Yorkshire on TheHouseshop.com.